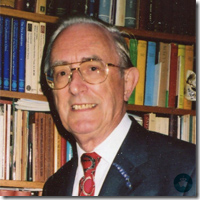 Peter A. Clayton, FCILIP, Dip. Arch, FSA, FRNS is an Egyptologist, archaeologist and numismatist who has excavated on sites in England and Egypt. A Fellow of the Society of Antiquities of London, a professional archaeologist and antiquities consultant. He is one of only two Honorary Members of the Institute of Archaeology, University College London. He has lectured widely in England, in most of the major museums and universities, and in Europe and Australia, on Egyptology, archaeology, antiquities and numismatics. A regular guest lecturer in Egypt and around the ancient sites of the Mediterranean several times each year since 1974 when he was recruited personally by Sir Mortimer Wheeler for Swan Hellenic Cruises, and subsequently on most of the major cruise lines. He is often called upon for live radio and television interviews on current archaeological or Egyptological topics, and has been featured in a number of commercially available educational and archaeological video programmes on British and American television. He is the author of the international best-seller Chronicle of the Pharaohs, 1994 (reprinted 1996, 1998, and now available in 15 languages); The Rediscovery of Ancient Egypt (now in 5 languages); The Seven Wonders of the Ancient World (now in 12 languages), and a dozen other books on archaeology and the ancient world. He is Expert Advisor for coins and antiquities to the Department for Culture, Media and Sport, the National Art Collections Fund, and the Heritage Lottery Fund, and acts as advisor to several departments in the British Museum and to many national and archaeological museums. He is a member of the Treasure Valuation Committee, The British Museum. He was the Consulting Editor and Book Reviews Editor of Minerva, The International Review of Ancient Art and Archaeology, 1990-2010, which he founded in 1990 for the owner, Dr J. M. Eisenberg. He is a Freeman of the City of London and of the Worshipful Company of Farriers, and a Liveryman of the Worshipful Company of Arts Scholars. He was a member of the Treasure Valuation Committee, The British Museum, 2006-2016. Guest lecturer around the Mediterranean and Egypt since 1974 when personally recruited by Sir Mortimer Wheeler as GL on Swan Hellenic Cruises. Subsequently every year archaeological lecturer on all major cruise lines and widely in UK, Europe and Australia and universities. Author of over a dozen books on archaeology, many published internationally in up to 15 languages. Served 10 years on Treasure Valuation Committee, British Museum, archaeological advisor to BM and UK museums.